Are you ready to make school a breeze? Alright, then follow me into Charlotte Mason land. You will happily see that there are very few teacher manuals or worksheets in a Charlotte Mason school, and no textbooks at our school either. Life is too precious to waste it on busywork, worksheets, boring books, and silly stuff. One thing I am coming to really appreciate about Charlotte Mason methods is that you get a lot done in a short amount of time. Really! There are no follow-up worksheets with comprehension questions, silly little things to cut out to reinforce one little point from a story, or quizzes to assess your child’s learning. Time wasters drain the life out of school because it feels like we are just plodding along, not getting anywhere fast. Here is the answer to all the nonsense and fluff: just do reading and narration. 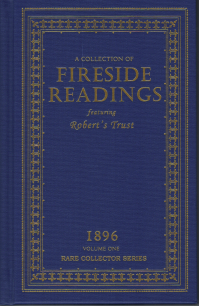 Reading and narration, reading and narration, reading and narration. Say it with me, reading and narration. That’s all! In just a few minutes of narration your child’s brain will have worked much harder than it would have on those “helpful” follow up questions provided in manuals, or on those cute but time consuming little worksheets. Sure you can also plan some hands on projects and crafts and term projects, but make them special and keepsake quality, 1 or 2 a month is plenty. 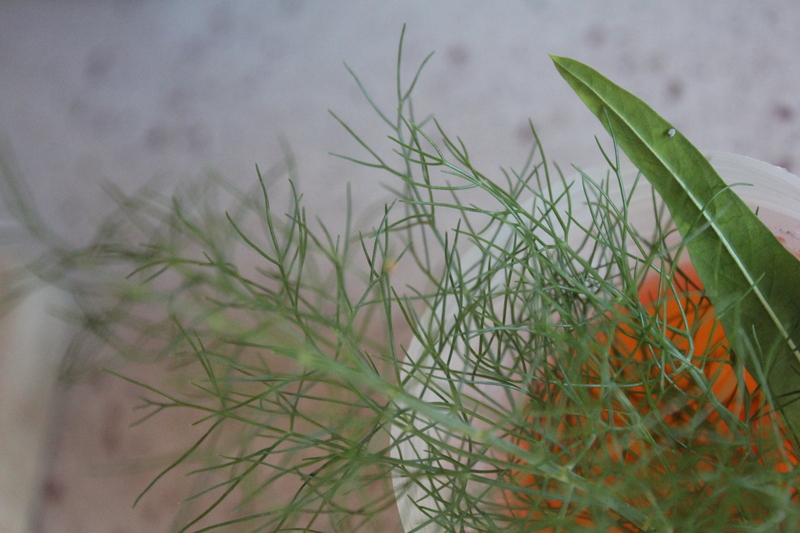 Charlotte Mason says don’t waste your time making lots of useless things, i.e. junk! Charlotte Mason methods are the secret to doing the most you can in school in the shortest amount of time possible. I promise this is all we do, and my kids are zooming ahead! Try it and love it! Now, the hardest part of doing an education such as what you see below in my curriculum plans, is that you, mom, have to plan it. Yes, it takes some prayer, some confidence, and some wonderful resources, but every mom can do it. Most often, you can’t buy a packaged curriculum and find total happiness. Sure, you feel happy that you “planned” out your year in a short time by letting the curriculum supplier make your choices for you. That feels good. Plus, they know your kids and what your kids need, better than anyone, right?? Oh wait, no, that’s you mom. So then the school year is spent in this quasi-happy-frustrating experience because you are tweaking stuff to make it work. Here is the answer to all the heart ache: you plan it, you plan it, you plan it. When? This summer! I am busy. Get busy now and relax later–like all school year long. This week my eyes are burning, my stomach is churning, and I long for my pillow–I up and decided its annual curriculum planning week. You may be wiser than me and spread your planning out, but I am determined to pull all nighters to get this done in 3 days flat. I am crazy, don’t do it like me. Do you hear the delirium in my voice? It takes time to click on blogs, check my bookmarked ideas, read lots of book samples, and type all this out! This is the hard part, but this is what makes our school materials a perfect fit for our family. There wasn’t anything about our school last year that we didn’t like or ended up needing to change. That is happiness!! 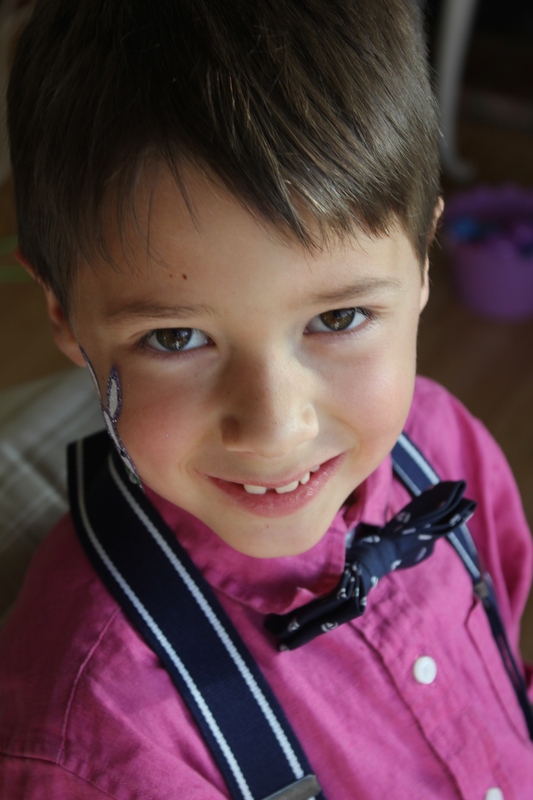 NOAH–1st Grade! My Obedient Heart. My Bosom Soul. 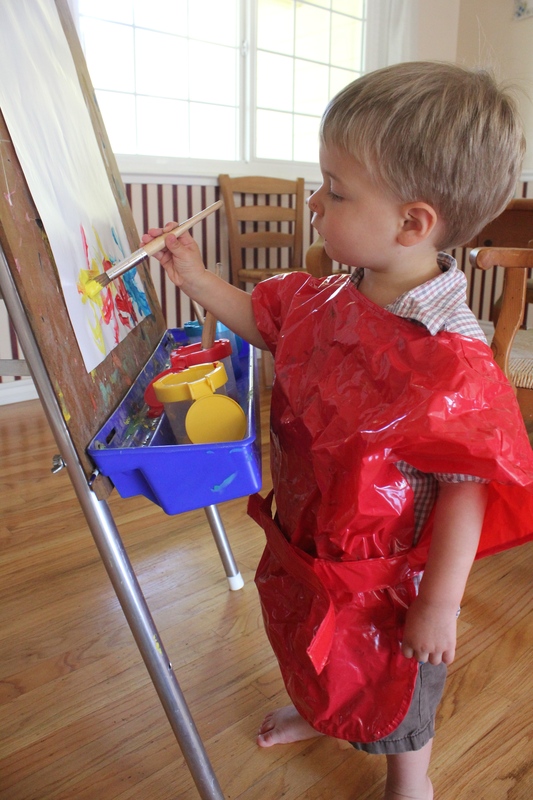 FAITH–Pre-K! 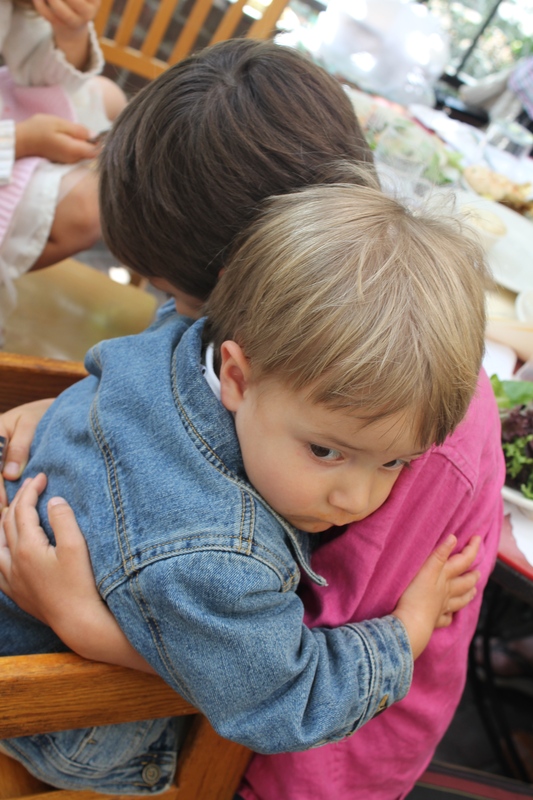 My Nurturing Heart. My Living Fire. 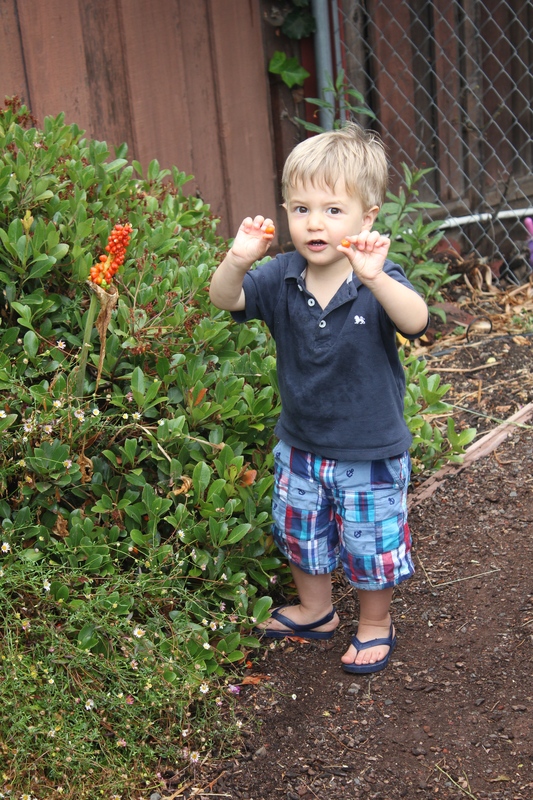 DANIEL–21 months! My Affectionate Heart. My Gift. 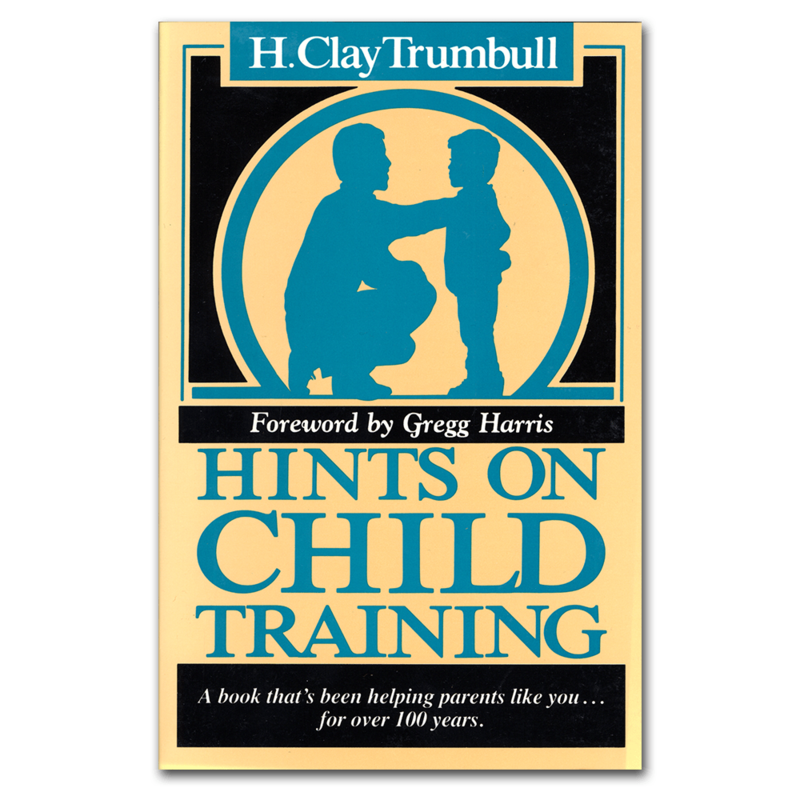 This classic has been called the “single best volume on the subject of child training ever written” and is recommended by Clay and Sally Clarkson. Devotions: Devotions are where it all starts and where a successful school stems from. We try to really take our time in devotions in the morning and stay with Lord as long as we feel led to. We do personal devotions in the morning first thing, then together with mommy, and later, night time devotions together as a family. 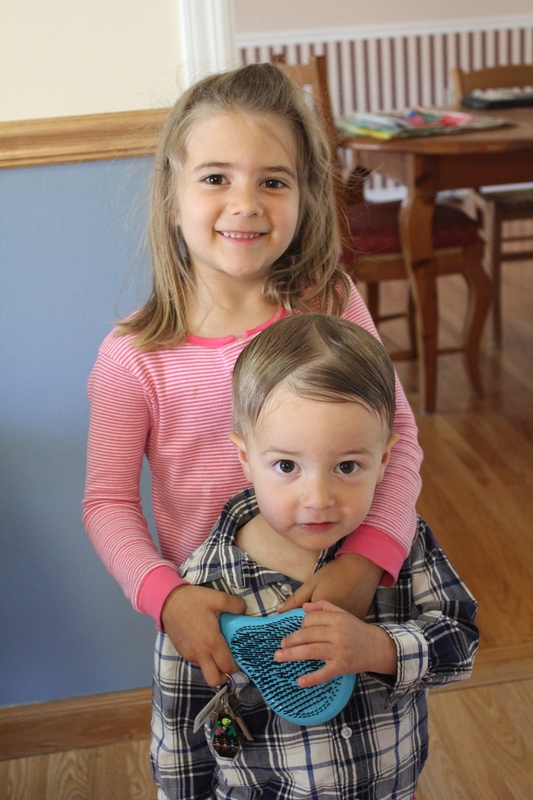 For personal devotion time, the kids select from a gamut of Bibles they have received over the years–everything from the Baby Bible to adult Bibles–really! Together, we love reading to our children straight from the Bible and from a “non-twaddle” Bible story book called The Children’s Bible Story Book by Catherine Vos. In the morning we also read a sweet devotional book called Leading Little Ones to God a couple times a week. 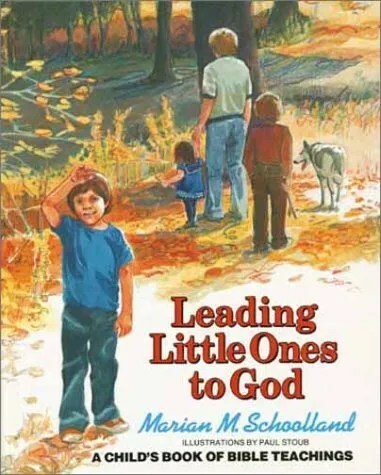 Leading Little Ones to God covers the major doctrines of Christianity, which can be hard for most of us to put into words for children, but Marian Schooland does an excellent job. We are half-way through our copy now and really enjoying it! The language and concepts in this morning devotional are perfect. I plan on repeating this book after our first read so that my children’s hearts can steep even longer in the simple and wonderful presentation of profound Biblical theological truths. 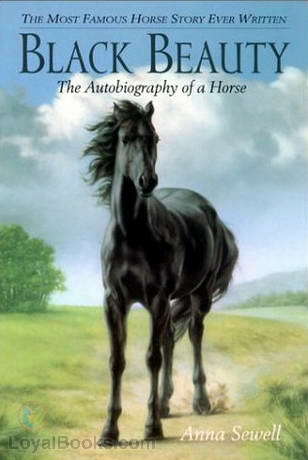 This was a book that almost stayed on my shelf collecting dust, but I am so glad finally we gave it a chance! Bible Study: We have an exhaustive concordance, but I would like to gather more Bible study helps such as Bible encyclopedias, Bible commentaries, and Bible dictionaries. I need to get some more personal recommendations in this area because I am unsure which ones are good. 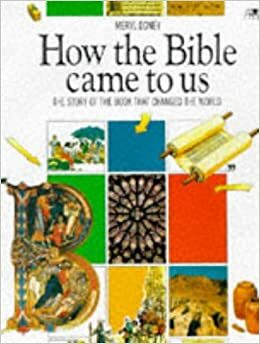 How the Bible Came to Us, recommended by the Clarksons, could be a start. See the “Habit Training” section below for a great idea on how to help a child begin his/her own personal topical Bible study. Scripture Memory: We memorize one scripture verse or passage a month and also review the verses we learned during the same month in previous years. 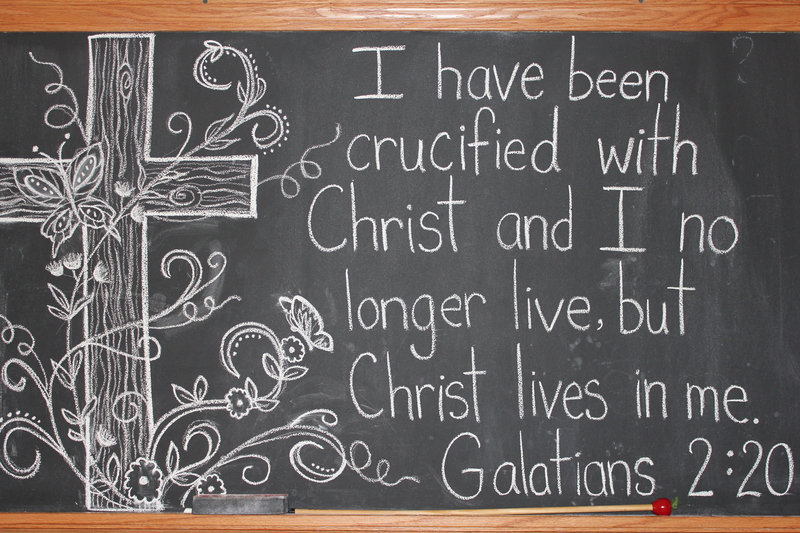 I usually pick a verse that is relevant to the character trait we are studying and I write the verse on our chalkboard over the kitchen table. We seem to go over the verse a few times a week, but I hope we can improve to closer to every day next year. 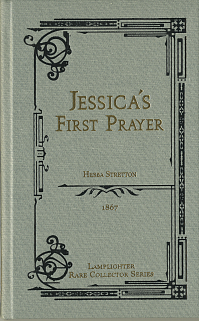 Prayer Journal: We separate into separate rooms in the afternoon for a quiet/rest time, where we spend some time prayer journaling whatever the Holy Spirits put on our hearts. I failed pretty miserably at making time for my prayer journal last year, but I am aiming to improve next year! Noah on the other hand was very consistent with his journal and I was surprised to find that he was praying for various pastors and churches, and about angels and chariots of fire. Thank you Holy Spirit for praying through a little boy! Prayer Wall: I would like to put up prayer requests, praise reports, scriptures, photos of people, vintage maps, name slips to draw, etc. on one wall of our house to inspire and guide our personal and family prayer times. 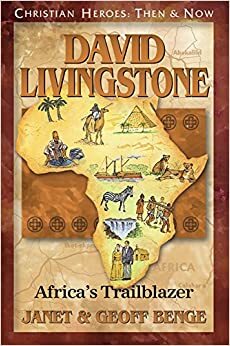 Prayer for the Nations: Part way through last school year, I realized what the missing component in our history/geography studies of Africa was: forming a heart for the people we are studying by praying for them! 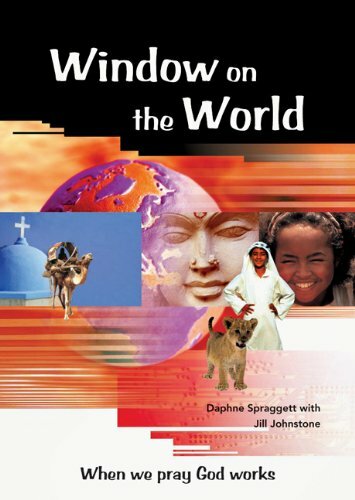 I found Window on the World for kids which provides great cultural information, photos, and prayer points for countries around the world. It is helping us to be more globally minded. Our hearts are in Africa. Last year we prayed for specific countries and people groups in Africa, and this year we will definitely use Window on the World to help us pray for the Middle East. Worship: The kids and I sing praise and worship to the Lord every morning together! We sing family favorites a cappella while the kids run in circles in the living room, play their toy instruments, or just sit quietly. They also follow me in making spontaneous Spirit-led songs unto the Lord. Our hymn books, which are simply printed off hymns put into binders, started a couple years ago, are becoming a great resource of songs for us to use together in worship time. The words of hymns are poignant and the message is beautifully articulated! We have learned approximately 1 song a month; we always succeed at committing at least part of the hymn to memory by the end of the month. 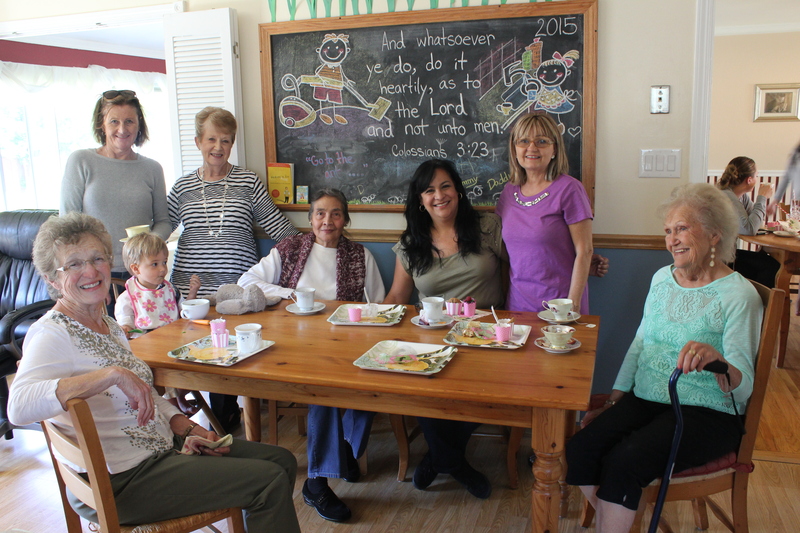 We are also hoping to start up a kids choir with friends next year that sings at nursing homes! Some all time classics and treasures from Lamplighter Publishing. We have been using Kathy Richardson’s Developing Number Concepts math series for PreK-3rd for several years now. Obviously we like it since it seems to be working, and Noah and Faith like math time. This year we will glean ideas from book 2 and 3 for Noah, and move into book 1 for Faith. Although I could have moved Noah on, we primarily worked with numbers 1-10 in kindergarten, as I believe its important not to hurry through basic math. 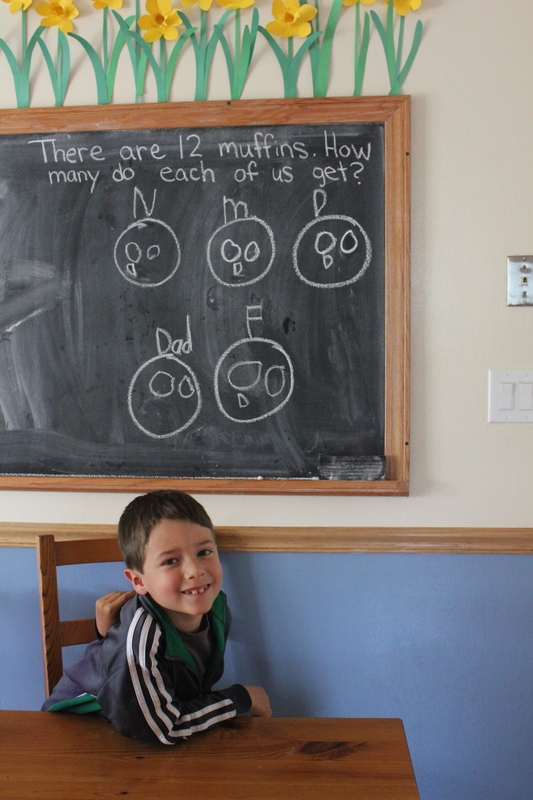 The more flexibly children can work with numbers and manipulate them in many various ways, the better they will be at math. Kathy explains why its important not to rush children’s development of mathematical thinking in her article, “Too Easy for Kindergarten and Just Right for First Grade.” Such a smart lady! Making children memorize math facts with tables and flash cards can potentially be a damaging experience. However, having many of the addition, subtraction, multiplication, and division facts memorized is no doubt very helpful. So Math Card Games by Right Start Math is supposed to provide the necessary drill in a fun way. It is compatible with any math curriculum, and comes highly rated. The cards are purchased separately from the book. Activities for the AL Abacus is a manual showing how to use the abacus to teach arithmetic to children K-4 using hands-on and visual work. Topics include place value, adding, subtracting, multiplying, dividing, and strategies for mastering facts. We already own the AL abacus, because to me, it provides a new way to think about numbers (thus promoting “flexible thinking”). A book to guide us in some activities would be a nice supplement to our math studies. 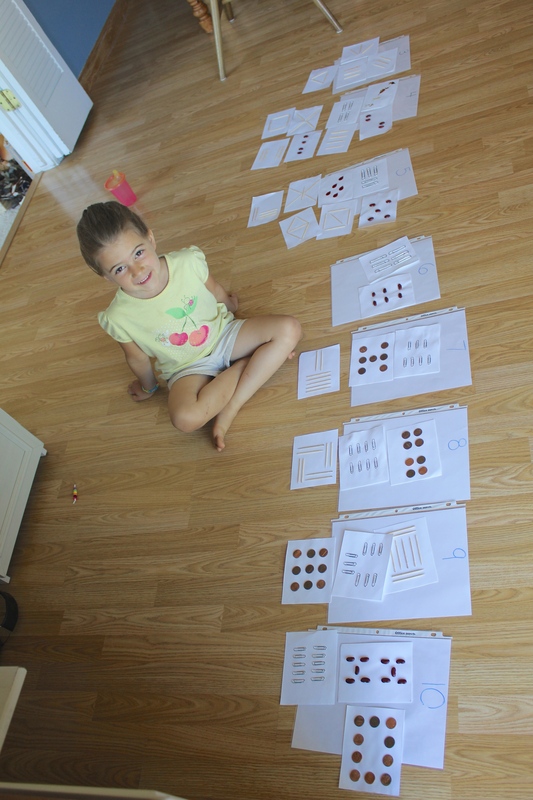 Our hundreds chart was very useful this year. 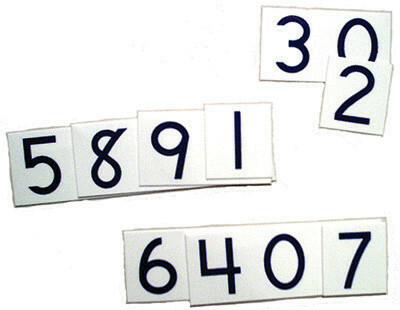 Place Value Cards may be helpful next year. As if thats not enough, we will incorporate Open Ended Math Questions for mealtime table math. I have always posed little math challenges to the kids while sitting together at a meal, and these open ended questions are what we need more of. These are not easy, quick math problems. It will be fun to watch Noah work away at one problem and to see what he can come up with. “Math talks,” i.e. talking about math in an everyday situation, is one of the best things we can do with our young math students. Oh and then there is this. Sigh. Understanding Geometry is teacher resource book that helps children develop in-depth understandings about 2-D and 3-D geometry concepts and spatial awareness. When studying history, as with any subject, there will be gaps in any curriculum we choose; we can never learn everything about anything. 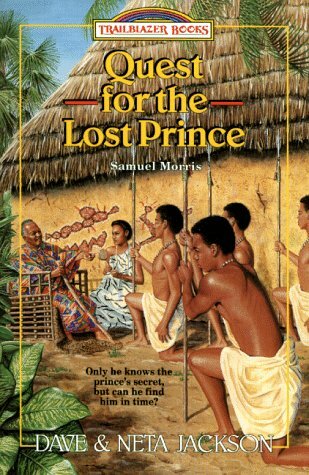 The main goal is to allow the children to “live” in a time period and get to know what people and ideas were like during that era; and that goal can be accomplished through simply reading a variety of living books. So if a history spine looks like a bit much, skip over the chapters that are not interesting to you, or simply use a variety of living books to give your young child a “feel” for whatever period you may be studying. 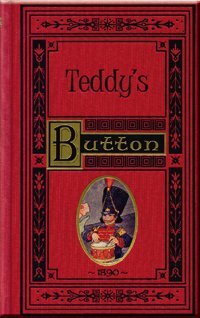 Simply Charlotte Mason’s history manuals offer living book suggestions, and the bookfinder on their website can help you track down many more. Another good resource, All Through the Ages by Christine Miller, is an exhaustive guide to over 7000 of the best in quality historical narratives, historical fiction, literature, and “living books.” I don’t think that Simply Charlotte Mason’s history spines are a good fit for every family with young children. So far they have worked for us because Noah loves history and has high interest. To determine if they might work for your child, click through all the sample pages offered on their website. Keep in mind that the Bible, the first and best source of ancient history, was not particularly written for young children either, but many of us read it to them anyway because we know they will glean so much. If you do read scriptures directly from the Bible to your child, then I wouldn’t worry too much about other history books being “too much” either. Not watering things down makes for brighter children! When studying ancient history, encountering mythology is inevitable, but not something to dwell on in our literature selections. As Sonya Shafer explains, “Children need to know that people who lived in ancient times worshiped false gods and invented stories about them, but they do not need to spend large amounts of time studying those false gods and learning every detail about those stories. Instead, make sure your children have a firm foundation in the truth about the one true God and interpret mythology through what Scripture says about it.” I completely agree. Make sure your children are spending more time in the Bible than they are in mythology. The Simply Charlotte Mason curriculum includes 3 days a week of Greek history and 2 days of Bible history from the books Joshua-Malachi. 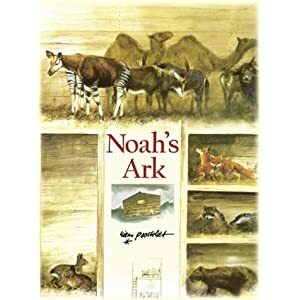 After learning what worked best last year, I may begin this year to have Noah draw a picture after each reading so that he has a mental anchor for the information from each chapter, besides requiring oral narration. Sometimes just an image can help information about a topic to come flooding back that would otherwise be lost. 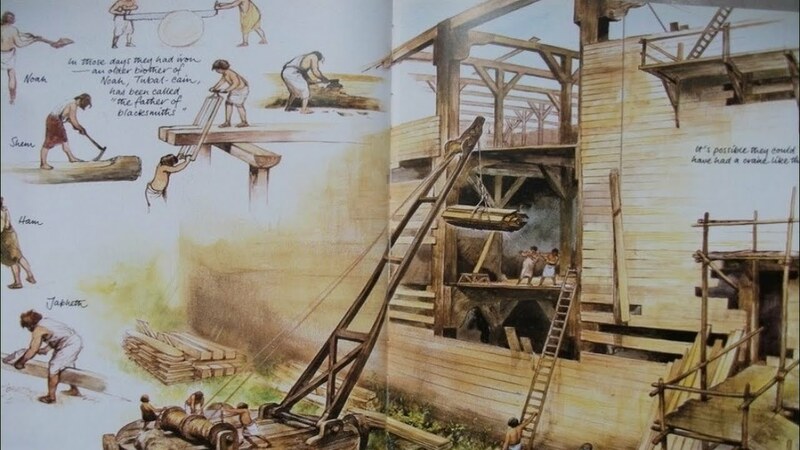 The drawings can then be made into a book for him to look back and recall what he has learned about the history of Ancient Greece and Bible stories. 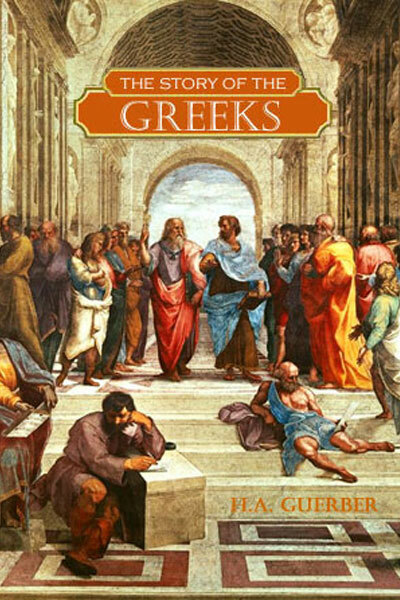 Make sure to purchase the 4th edition of The Story of the Greeks from Nothing New Press to get the Christian worldview version. 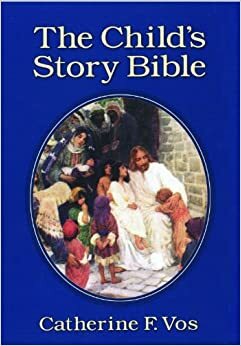 We often read the Bible portions of our history lessons from The Child’s Story Bible, which is a really well done Bible story book for children. Since history next year covers Old Testament books Joshua-Malachi, geography covers the Middle East where much of the Old Testament occurred. Visits to the Middle East includes map drill, making your own maps, living books, and seeing what a family from various countries eat and how they live. Also, to form God’s heart for the countries we are studying, we will pray. Whatever country we are locating on a map for the week, we will also read about and pray for using prayer points in Window on the World, a book by Operation World designed to help kids pray for the nations. 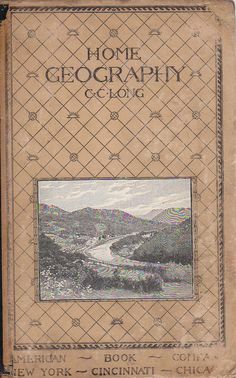 The Victorian era book Home Geography (free, online in public domain) teaches basic geography terms in a sweet conversational manner. Plus it teaches things like pacing distances, direction finding with a compass, reading maps, drawing a room to scale, etc. 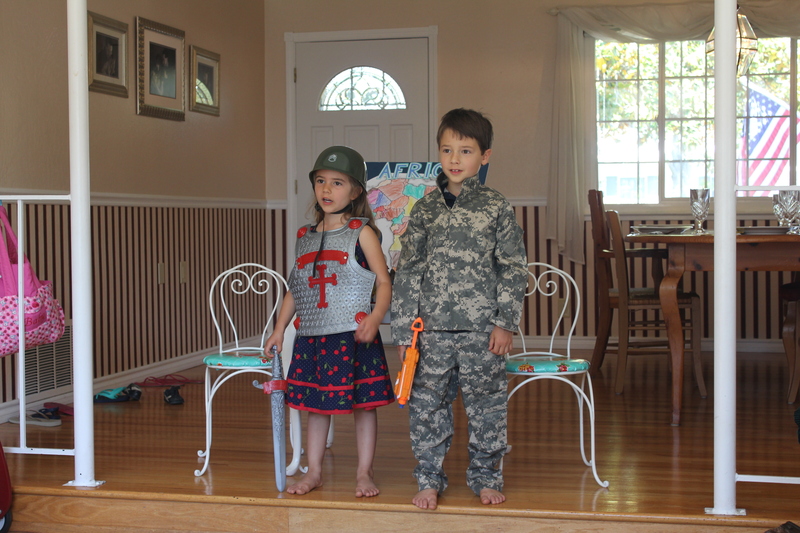 The Miller Series is LOVED by many homeschoolers, including us!!! Now that Noah is reading, I am pretty excited about the opportunity for him to soon begin studying the Bible for himself! I would like to make this really cool idea: a tabbed “Child Training Bible” and “Virtue Training Bible,” to have at home to help with habit training, and also to gently ease my new reader into studying the Bible topically. 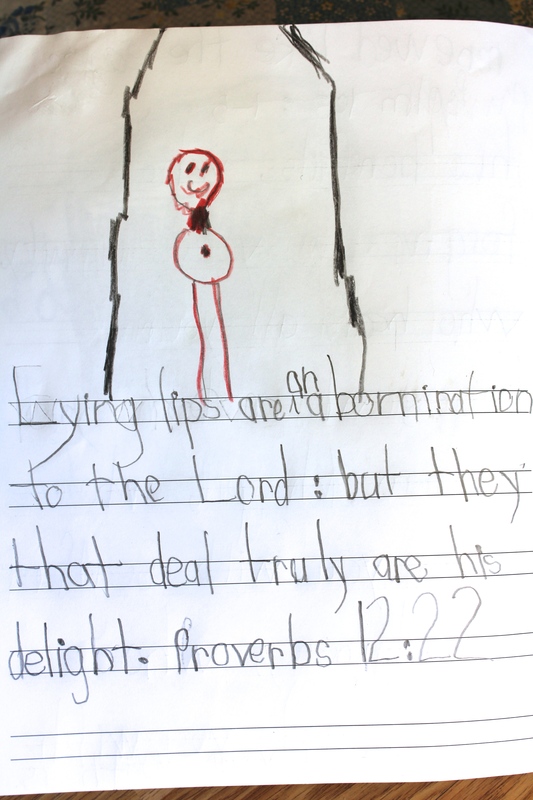 Here is an example of how the tabbed Bible could work at home for habit training: When Noah tells a lie, he looks up the color coded tabbed verses (under “lying” in the child training Bible, or “honesty” in the virtue training Bible), and has a talk with mommy or daddy about the scriptures he/we read (helpful parent led questions are provided with the product). He then chooses one of the verses to handwrite/draw a picture of, and commits the verse to memory so that its hidden in his heart. Each time a similar infraction occurs, he reviews his previously learned verses about lying, and then he must choose one more to memorize. Memorizing habit training verses will be on top of any regularly assigned school memory work for my kids. Eventually he could have a whole arsenal of weapons in his heart to use against the temptation of lying!! To me, this seems like a “positive discipline” approach that teaches children and parents alike to go to the Word! Rather than use “time-outs,” why not implement “time-ins” with God? So much more effective! And don’t worry about the time it takes to accomplish a discipline session like this. We can feel good about going ahead and putting school or whatever else on hold every time a habit training opportunity pops up because we know its for a high purpose. The Habit/Virtue training Bible is certainly something we can use with preschool children too (although on a less independent level) whenever possible, but here is another idea for your non-readers. 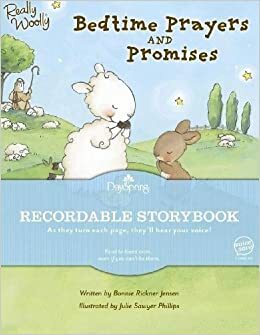 An Oh-so-soothing book called Bedtime Prayers and Promises is what I use for “time-ins” for preschoolers (at all times of the day).” It has been the PERFECT discipline help for troubled little ones who can’t yet read, and therefore can’t fully benefit from sitting with a Bible during a “time-in” (and its nice for mommies who don’t want to “talk it through” for the umpteenth time either). We will continue to use our Stewardship Street coin banks to hold earnings for Service Opportunities done at home (better known as chores). 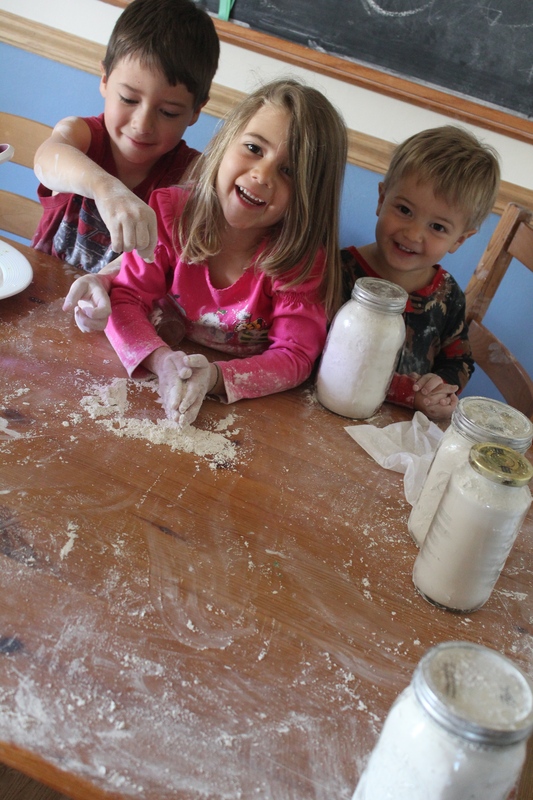 Kids learn huge responsibility and moms get a break from housework! Its awesome. Chores became a bigger part of our habit training last year and we will continue to slowly increase responsibility as the kids show readiness this year. 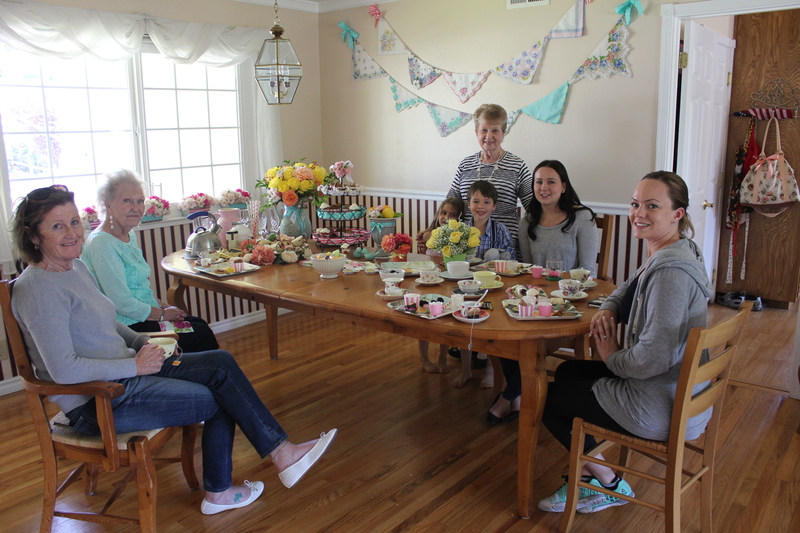 You might be surprised how cute your Stewardship Street turns out! 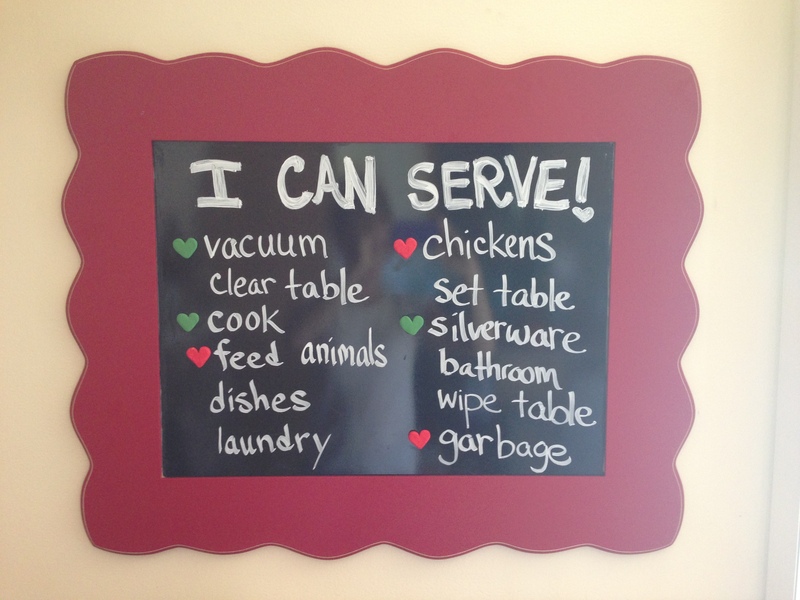 Our Service board shows kids what their daily assignments are. Noah is the green markers and Faith is the red markers (clay shaped into hearts). 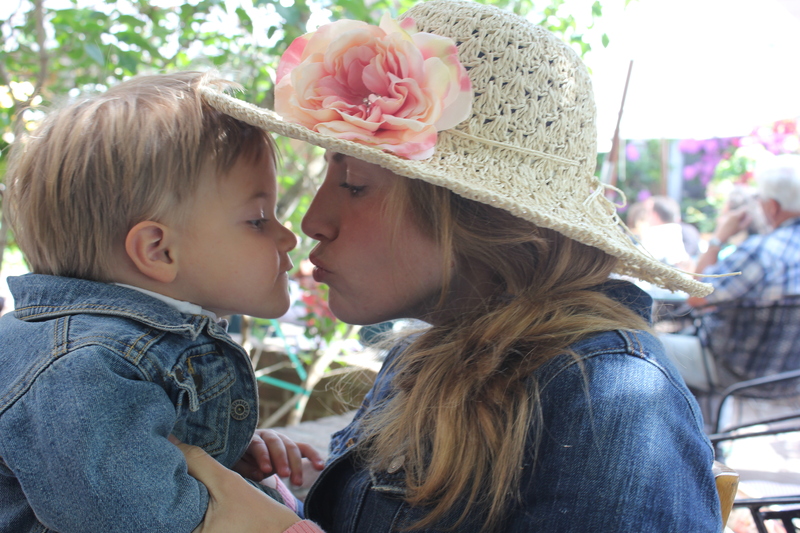 Cultivate the joy of nature and discovery in your family. 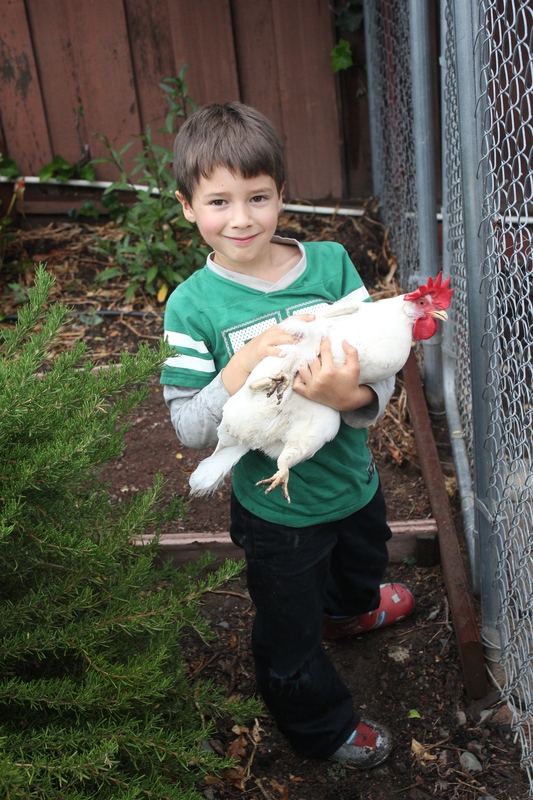 Nature Journals can be a wonderful shared family experience. 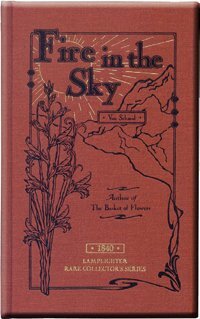 Nature journals can also include written prose, poetry, hymns, painting, drawing, photographs, and even musical notation. We often pray that God will open our eyes, ears, and hearts to more fully see all the special things of His creation. I want to have eyes to SEE! When we go out in nature, I want to come home having discovered something brand new each time. Well, prayers are being answered, God is good. 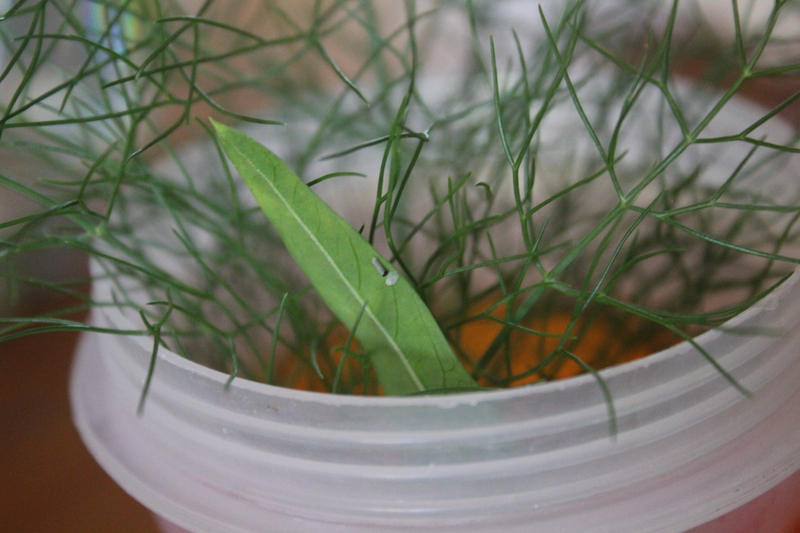 Right now at our house, we have a tadpole, a toad, a butterfly egg, and three caterpillars. Not from kits that we ordered–the real deal of searching, finding, collecting, and hand raising. Soooo fun!! When it comes to nature study, I am falling in love! 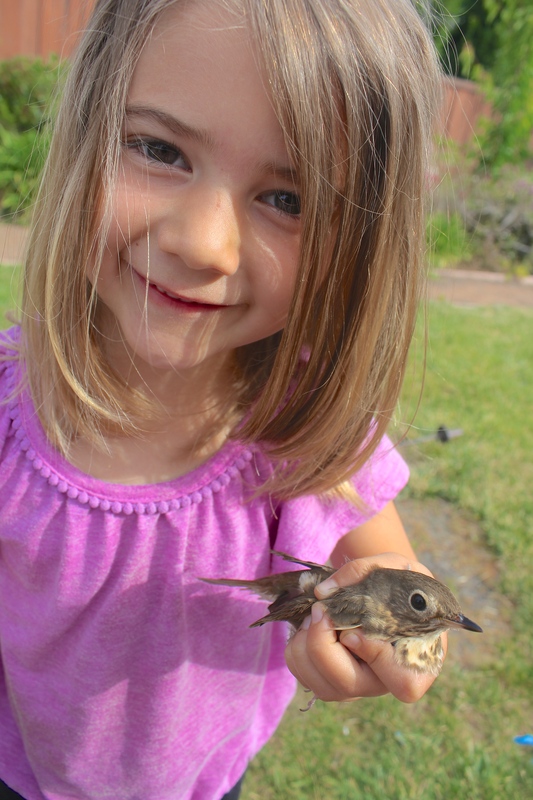 Over the past 3 years while attempting to follow Charlotte Mason’s suggestion of spending lots of time in nature with the kids, I find that I am turning into a nature girl more and more. The love for ladybugs and flowers and fresh air that I had as a child has been reawakened, and is now exceeding the passion of my youth. I don’t know about the kids, but I am amazed by all the the little things. The kids do enjoy the outdoors and offer their observations (spider “skeleton”, a spider eating a fly, baby bees in paper wasp nest, etc. for example), but I am still the main contributor, not to mention the one jumping up and down when our caterpillar hatched (waiting 35 years to see this vs. 4 or 6 years may have something to do with it). We haven’t been that reliable with doing regular nature journal entries, or at using our nature handbook or field guides. 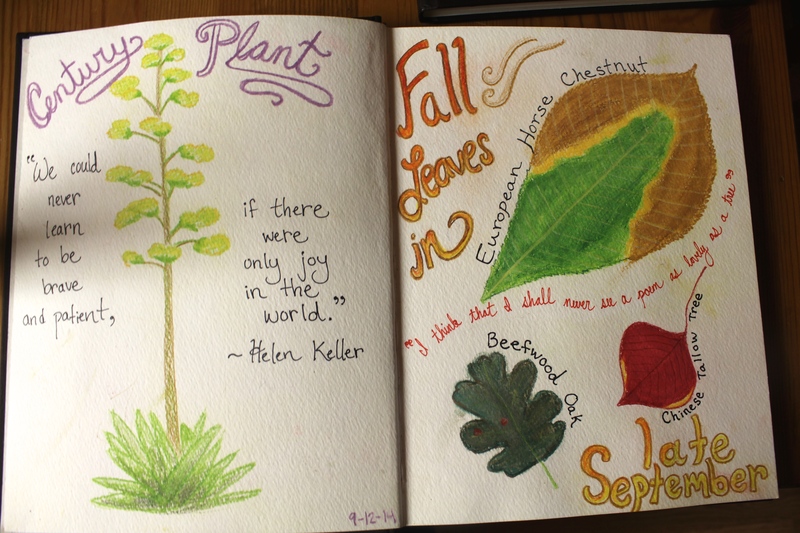 Not that we don’t like nature journaling; I just think I am too perfectionist–like “I need 3 hours to do a drawing, so I guess we can’t do nature journals today.” But we do get out to hike, play, and observe the flora and fauna in various parks when the weather is nice. We definitely have nature study passion due to simple exposure, but now we should probably aim to increase the “study” part of “nature study.” 😉 We did do SCM’s Outdoor Secrets lessons last year, and it was wonderful!! 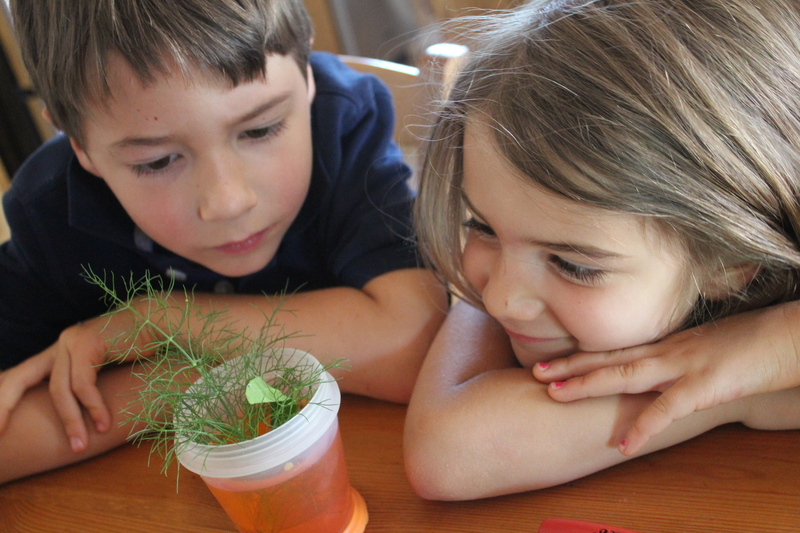 This next school year we plan to use Simply Charlotte Mason’s Pond and Stream Companion curriculum which is suggested for 1st/2nd grade, but useful for lots of ages, and perhaps Peaceful Ponds and Incredible Creeks by NaturExplorers as well. The kids simply love any type of water so I want to take advantage of their interest. We probably have to toughen up and get outdoors throughout the winter to find seasonal streams this next year though. Praying for rain this year in this California drought! 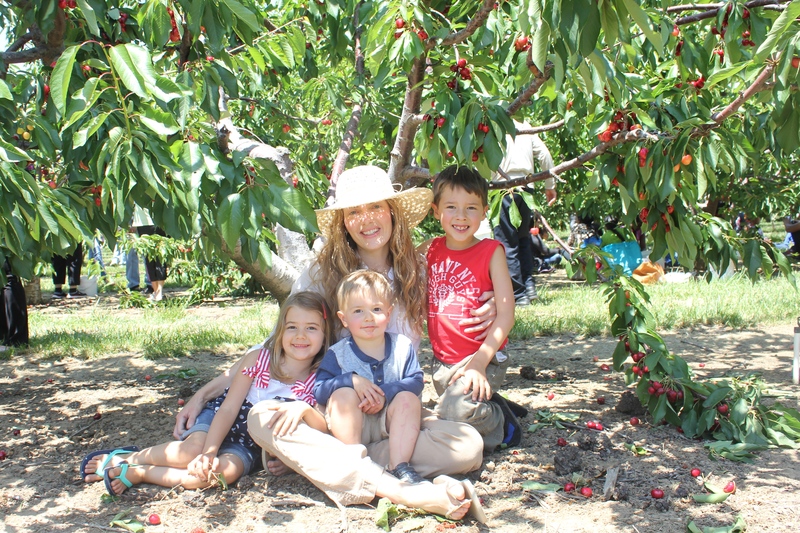 If you aren’t sure what Charlotte Mason nature study with children looks like, visit the blog Joyous Lessons, where a California mom does an excellent job with her 7 kids all under age 9! You will surely be inspired and challenged. If she can manage it, perhaps we can too with our 2 or 3 kids, right? Our favorite park naturalist is starting up a new nature study class once a month just for homeschoolers because we asked! Yay!!! 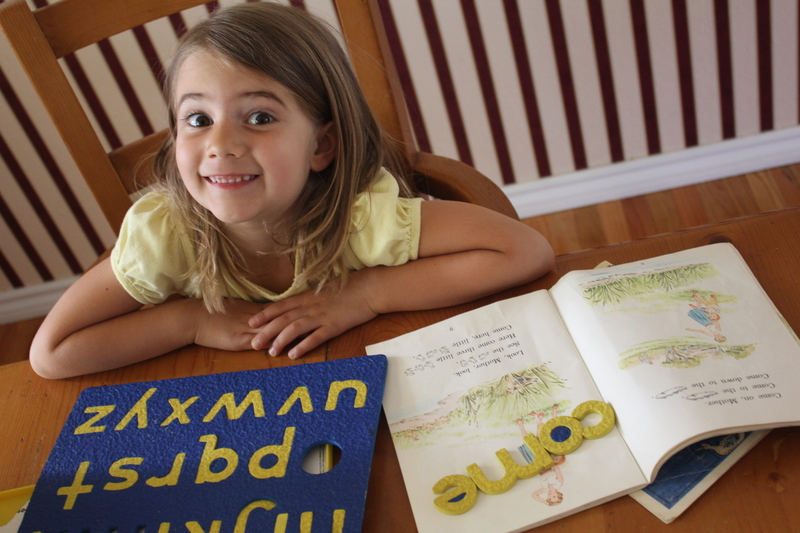 Other Fun Nature Study Resources: . .
We are going to make the dive into cursive in 1st grade! Some people feel it is best to have printing mastered before starting cursive, some people believe that research shows younger children more readily adapt to cursive (before printing has been engrained in their muscle memory). They say that by the time children are introduced to cursive in the second or third grade, their writing habits are so fixed that children can resent having to learn an entirely new way of writing. 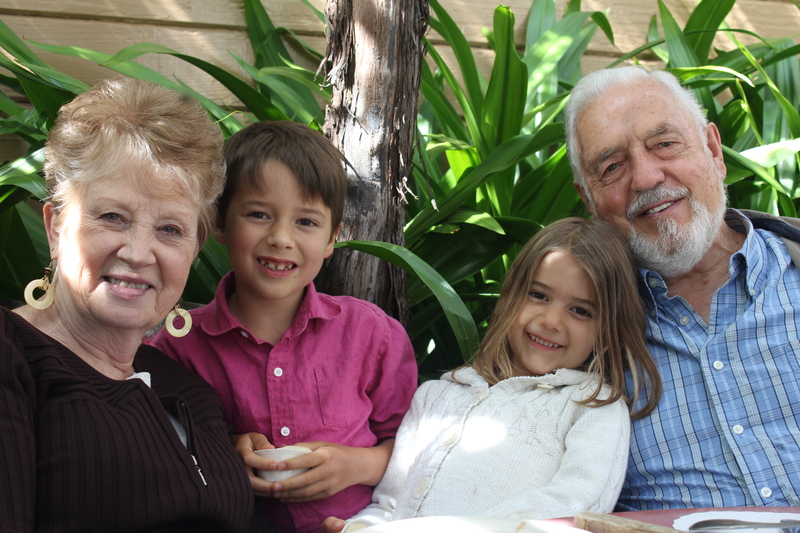 We know its true that our grandparents seem to generally have much better handwriting than we do, and it could very well be because they were taught cursive first or cursive only. ‘Cursive first’ proponents say, “If you teach cursive first, you can always develop a good print style later. 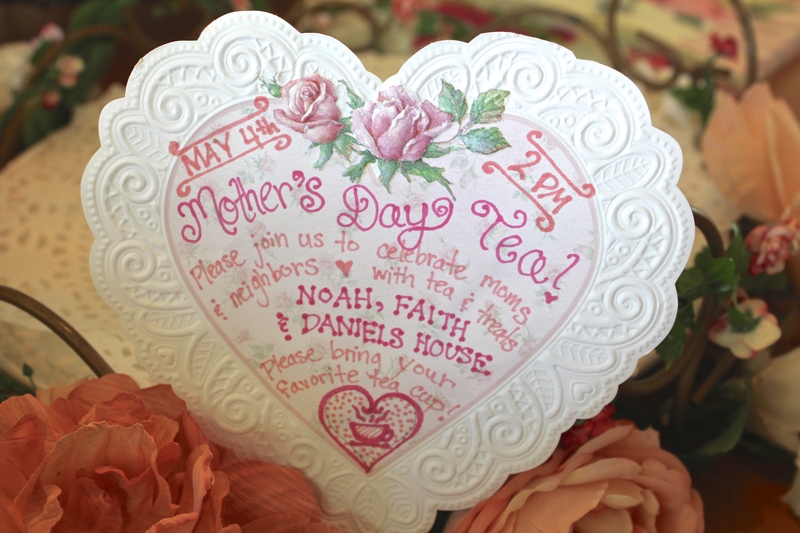 But if you teach print first, you may never develop a good cursive style.” I guess we are taking a middle of the road approach to cursive–Noah has already been learning to print for a few years but hasn’t yet mastered it, so hopefully he is still flexible. Another reason that I would rather put the time in to learn cursive in 1st grade is that time is freer than when there is more to do academically in 2nd or 3rd grade. 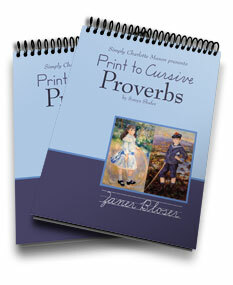 What I find really great about Simply Charlotte Mason’s “Print to Cursive” is that it provides children continued printing practice while learning cursive, and the the transition is very gradual and gentle. I also think its neat that we are studying verses from Proverbs both in handwriting and in our character studies with ‘Wisdom and the Millers’. I like the Proverbs theme that is emerging! Although its not “Charlotte Mason” methods to do spelling instruction before age 8, we have deviated in this area due to a natural progression of events, and done our own thing. And spelling is the area that has absolutely wowed me this year–Noah rocks! I believe success is due to a long process of building up this skill throughout preschool. Here is the history if you are interested, as well as our current methods. 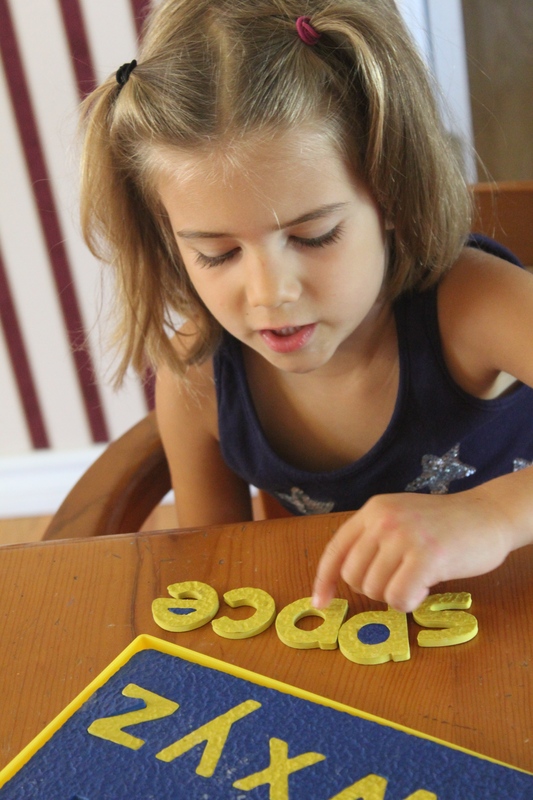 Noah could spell 3-6 letter phonetic words before kindergarten because of a couple years practice with word building–arranging wood letters to spell a word by sounding it out. I was delighted to find that our reading curriculum in Pre-K, Delightful Reading by Simply Charlotte Mason, also included word building as a way to familiarize students with each new reading word (with the goal of reading rather than spelling, but also to form an eye for paying attention to each letter in a word, which is useful for spelling). 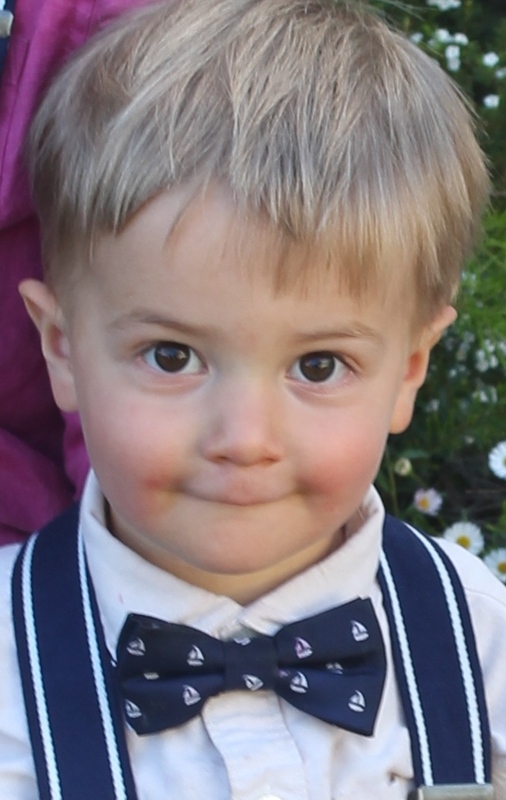 Many words in the curriculum were not phonetic and had to be memorized, which presented a big hurdle for Noah. Attempting this at such a young age, it felt like a long time before he could see a “sight” word, hide it or cover it, and then spell it correctly. However, progress did eventually occur, and word building has been increasingly easier for him once we crossed the hurdle of forming the habit of seeing. I kept my expectations relaxed in Pre-K as far as “spelling.” The goal was for Noah to become a reader, so spelling practice was just a side benefit. During Delightful Reading lessons, if he spelled a word incorrectly with his wooden letters (which he usually did), he corrected it (with no memorization of proper spelling required), and we moved on. By the end of the year, he was starting to spell words correctly more often, but his memorization was very short term, and he couldn’t tell me the correct spelling later that day when I asked. For this reason, my expectations for spelling were still relaxed when Kindergarten began. 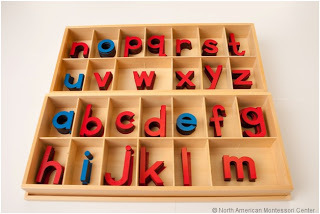 However, I did wonder why should we stop word building now after all these years?? Even though he can read now (which was the original purpose of our word building lessons), we can go ahead and word build the new words presented in each story of his reader to continue developing his spelling skills. It only seemed natural to continue after so many years of word building. And it was this year that I really saw his spelling skills blossom. Noah can remember how to spell 3 or so words correctly after studying, but best of all, he can retain them and spell them later in the day or week when I quiz him. Success! A young boy who can spell is a success in itself. 🙂 I think years of word building had a lot to do with it. 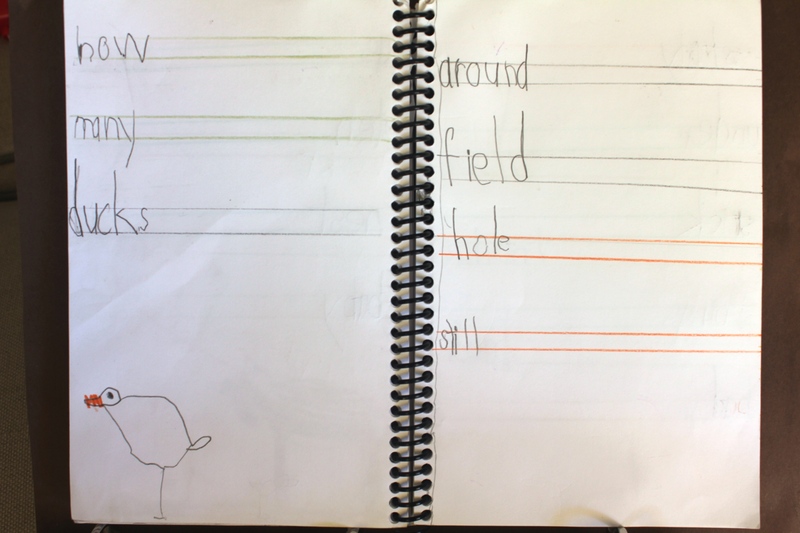 Sample from Noah’s Kindergarten Word Book pages. He likes to flip back and giggle at his Pre-K writing; he can see a clear progression in his Word Book, which is encouraging to him. Our spelling is easy peasy. 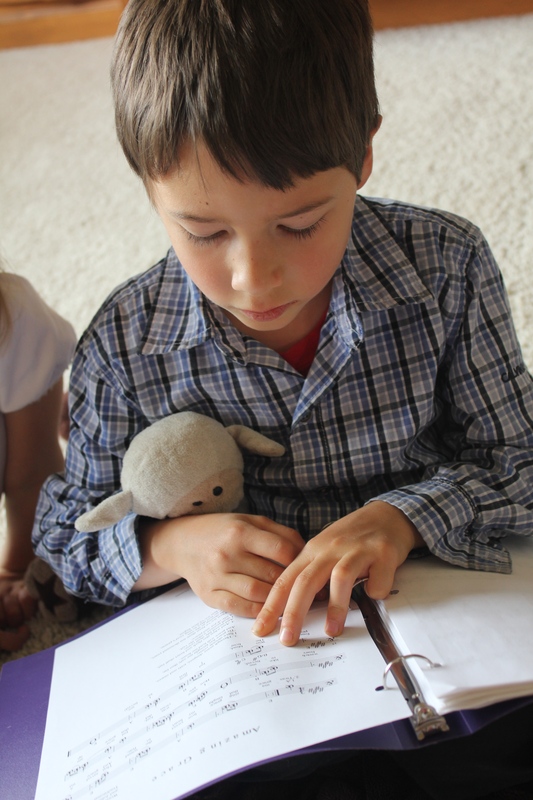 There are no traditional long spelling lists, arduous studying periods, testing and re-testing. After, studying and spelling out 3 new words with wood letters, checking his work and making any necessary corrections, Noah writes from memory the words he just learned into his Word Book. A Word Book is simply a record of the words that are now his because he knows them (like the face of a friend would be recognized anywhere you go). Generally we read one story from his reader a week, and do two word building lessons a week to learn the spelling of all the new words presented in that story (usually 5-8 words). Some days he also draws a picture of one word simply for drawing practice and to make his book special. I enjoy the independent nature of word building these days and the quiet 10 minutes afforded me to go get something around the house done! So far we have used a very laid back approach to vocabulary– as in almost nil vocab study. Basically, I explain hard words that come up in our readings off the top of my head. This year I would like to teach Noah to start looking up words in the dictionary and writing out definitions of rich vocabulary selections. Which means I either have to do some pre-reading of material to select a list of words that Noah can define before we read, or we jot down words as we are reading and look them up later. Knowing me, doing lots of pre-reading doesn’t seem too realistic. However, its a dilemma, because pre-selecting and defining words is the only way to help Noah get the most out of his readings. Looking them up later helps him learn vocabulary but doesn’t do much to help him make sense of what we are reading in the moment. So we will see. I am thinking for this next year, I will probably continue to explain a lot of words off the top of my head, and jot down just a few key words while reading for Noah to define later (since he isn’t a fast at handwriting yet). I think we need a nice gentle start into the process of bringing vocabulary study into school for the both of us! 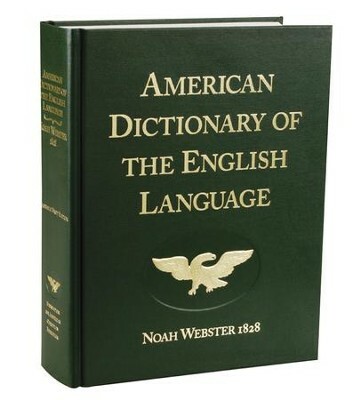 I am wondering if next years vocabulary words should also be a part of Noah’s Word Book, or if they should have a separate book all their own. Something I need to think about a little more! Besides being wowed by Noah’s spelling abilities this year, I was awed by his reading–which I am sure is typical of any parent who sees the miracle of reading unfold in their child for the first time. So many new worlds await my son and its so exciting! 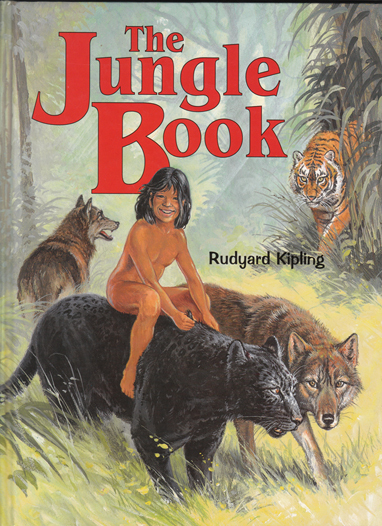 When reading starts to click for a child, readers can start to seem unnecessary. 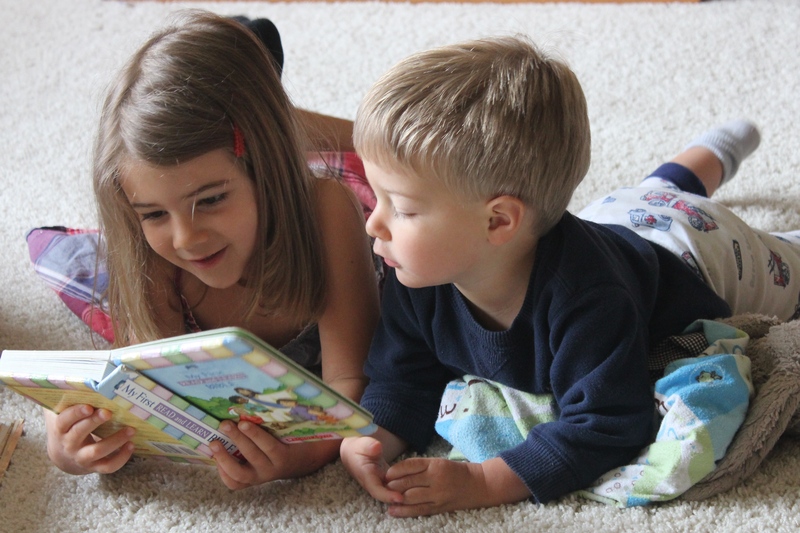 When a child’s interest in reading increases, and he starts to practice reading many different books, a grade level reader can begin to seem too easy. This is what seems to be happening to Noah. He loves his Pathway Series Readers, but we could probably skip a book and move up a level. However, the readers are perfect for providing spelling words, and I wonder if we should skip so many spelling opportunities and lovely stories, to find the right reading level? We currently do 1 story a week to slowly absorb about 6 new spelling words, but without the spelling component, Noah could read at a much faster rate of more like 1 story a day. Perhaps I should think of the readers as a really fun spelling resource instead of reading instruction and just do each level in turn no matter how easy it is. Anyway, I am sure this is something that will work itself out as we continue on. There happens to be Pathway readers available up through an 8th grade reading level by the way. I do know that I want to continue reading on in the Pathway series of readers whether they help us more with spelling or reading, simply because they are delightful stories full of great character lessons. Love these readers!!! Pathway readers are anything but boring. All the stories center around an Amish family’s farm life. Here children are expected to obey their parents, respect their teachers, ask forgiveness when they do wrong, and humbly submit to the discipline of those in authority! Yet they still enjoy life!! Faith is right where Noah was a few years ago at her age with reading; she can read some words in her little reader already, but is ready for formal reading instruction next year in Pre-K. I am looking forward to doing Delightful Reading curriculum with Faith next year! I HEART ART. Our Favorite Art Projects from Last Year. . . .. . .. . . . .. . .. . . 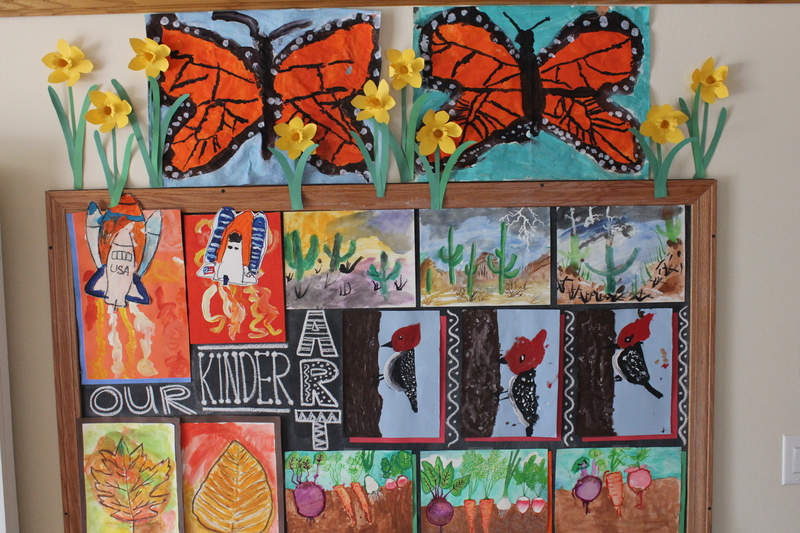 So far our inspiration for our art projects comes from topics of current study (woodpeckers, cactuses, and butterflies), seasons (fall leaf and gardens), and personal interests (rocket ships). 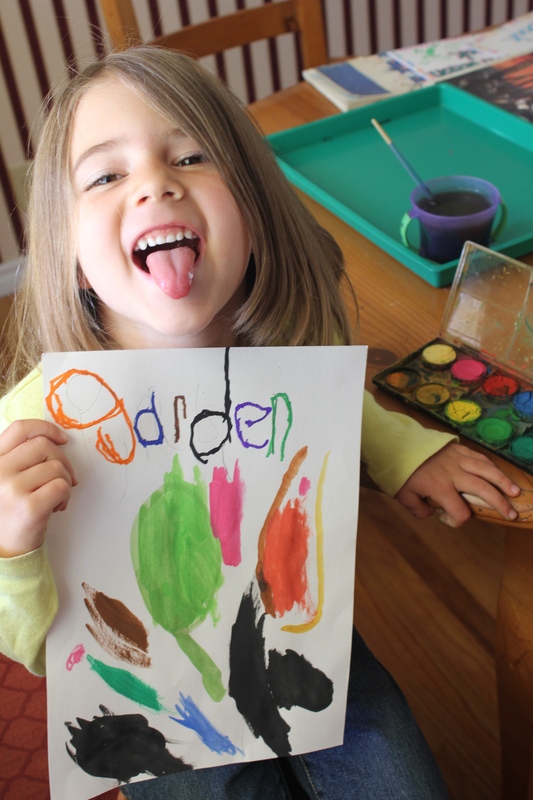 I admit that I like to direct children’s art projects. I show on my paper, they try to do the same on theirs. Perhaps not the best way to create true artists, but that is how we get most of our “frameable” art projects. Occasionally the kids will surprise me with a really nice looking finished product that they made on their own. I know that there is also much value in learning through the process of making art, not just in the product. So certainly not every piece needs to be a masterpiece. 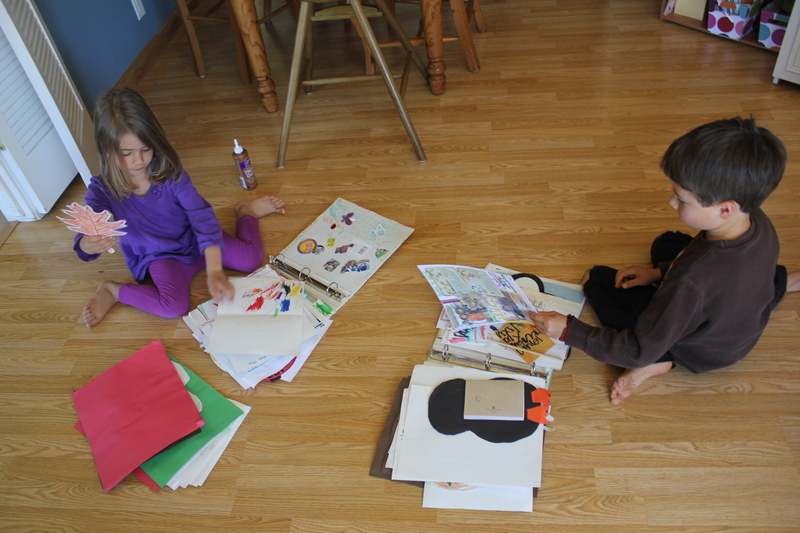 Besides mommy directed art, another method we have used is to look at a drawing/painting in a book to get inspiration. Like our desert cactus paintings that we made while looking at the beautiful pages of A Desert Scrapbook by Virginia Wright. This school year, we will continue to do free art, directed art projects, and picture book inspired art projects. Just like with writing, the more we draw the better we get. 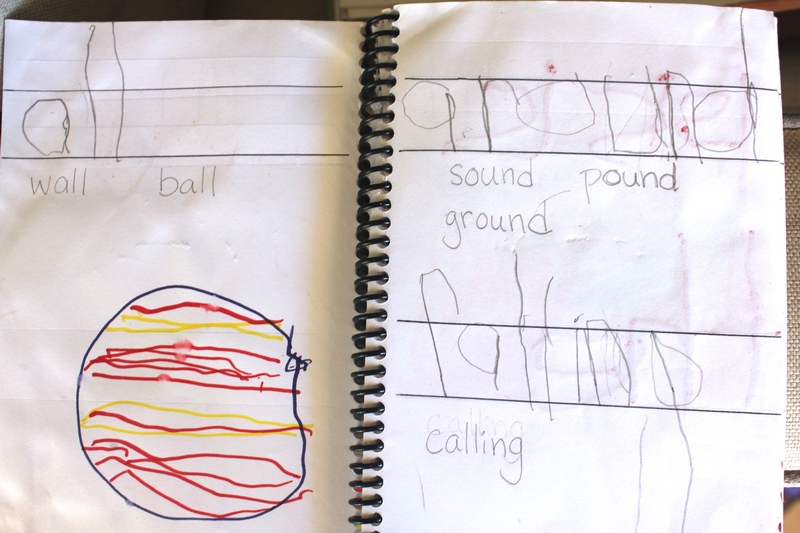 Requiring drawing in other areas of school (like nature journals, prayer journals, history and Bible narration drawings, and Word Book illustrations), ensures kids get lots of practice. Mona’s Drawing with Children is a book I have had on the shelf that I would like to add into our art plans for next year. We need help with basic drawing skills here. I think according to Mona, drawing consists simply of being able to draw five different kinds of lines and knowing how to put them together in the right way to make a picture. Sounds easy enough. I like these simple drawing lessons too. .
We will continue to memorize one poem a month to practice recitation, and try to read others from the following books: . . . . . . . . . .
For music study, we simply turn on a classical music internet station (in itunes) that plays all music from one composer. Then I announce, “Today we are listening to Vivaldi!,” so that they kids can start forming an ear for each composer’s style. My “Activity Brainstorm Page“, listed on my homepage menu has lots of crafty ideas. The craft projects include holiday, seasonal, and themed ideas which are an ongoing collection of various ideas I admire while searching around on the internet. 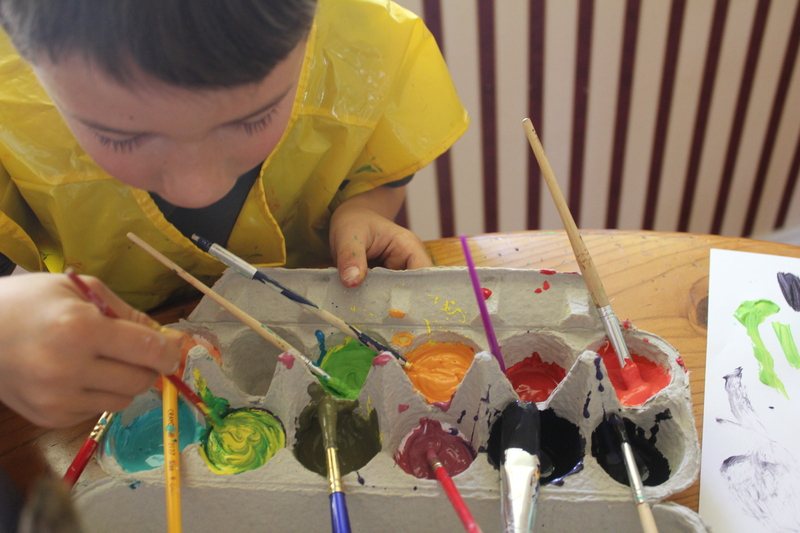 We purposely save art projects, craft projects, and fieldtrips for “Fun Fridays,” our light day of school. The American Boys Handy Book could be a fun book to have. Learn a short phrase in English while acting it out. Learn the Spanish word for that verb. Speak the Spanish translation of the whole phrase. 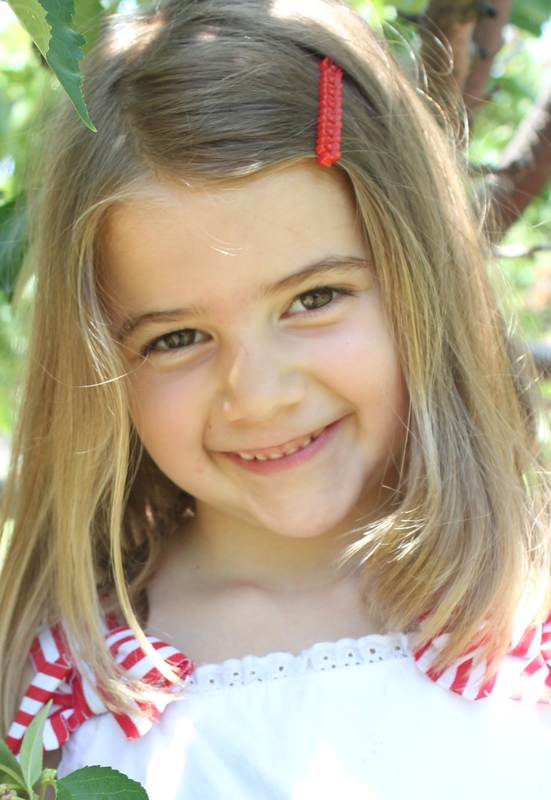 (acting throughout these steps to reinforce) . . . .
By coupling everyday phrases and actions, kids begin to think in the new language. More language growth occurs as kids use phrases they have learned interchangeably with new nouns. 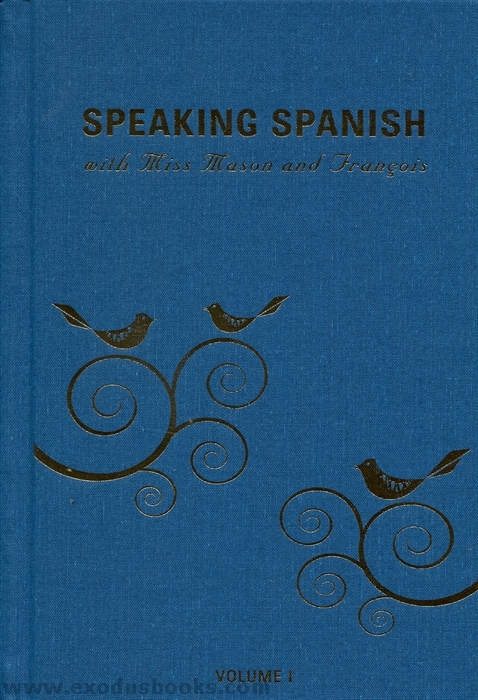 Here are sample lessons in the book Speaking Spanish. Speaking French curriculum is also available for French language students. 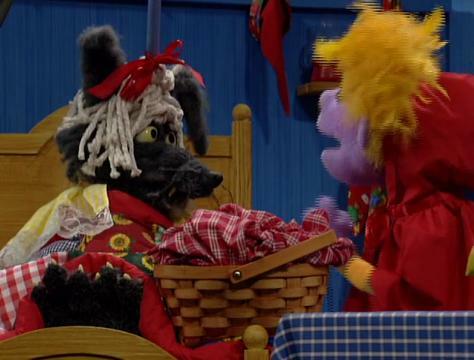 Oh, and why not watch some crazy silly Spanish videos for kids? Salsa Videos! The End! Glory to God!!!! 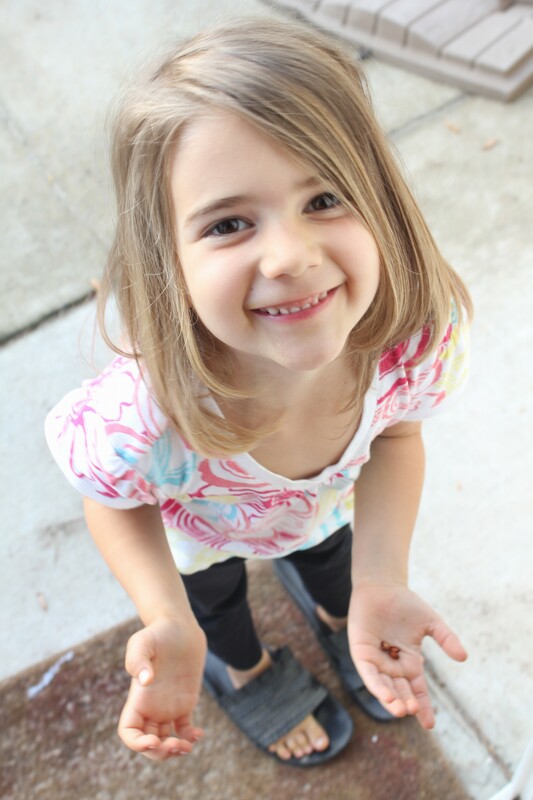 Precious girl saves seeds everyday now, goes out and plants them in our garden, and waters them–all on her own. A much needed re-covering of our play table chairs with oilcloth (wipes clean!). 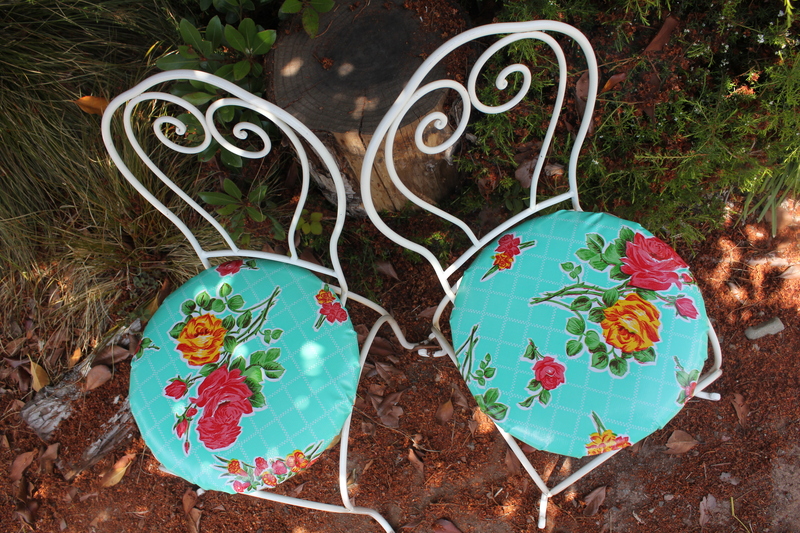 Easy project requiring just $4 of cloth and a $16 staple gun. Breakfast time math using an everyday situation. We have done color mixing in May for years now. 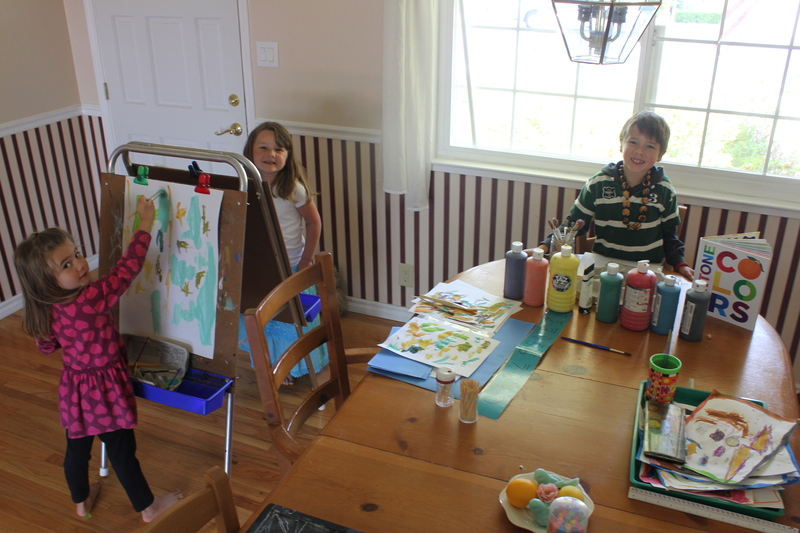 The kids reeeally enjoy making brand new colors and then using them to paint a picture. Faith sweetly reading the baby Bible to Daniel (she has the story lines memorized). 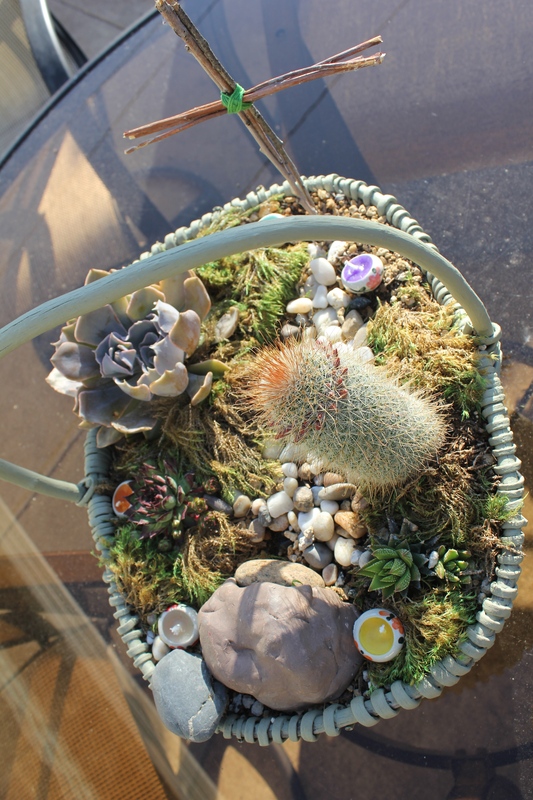 This years Easter garden basket goes back to succulents again. Daniel’s love language. He holds hands with Noah during car rides too. Painting again with Tayler, just like old times. Neighbors all getting to know each other better. An undirected painting of a garden. Our directed paintings of a garden. 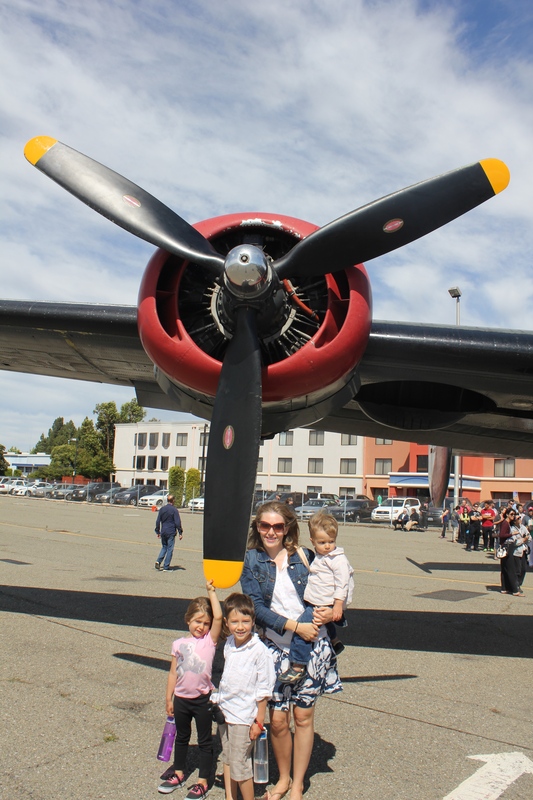 The kids loved going to see WWII planes. Now they want to own some when they grow up. Noah and Faith performing the hymn “Conquering Now and Still to Conquer” at graduation. They also read to us from their readers; Noah recited all of his Stewardship Street verses and located and named the countries in Africa. We prayed over them and spoke words of love and blessing. We are SO proud!!! A monarch caterpillar egg about to hatch. A newborn caterpillar eats its egg first. Nature study at its best. 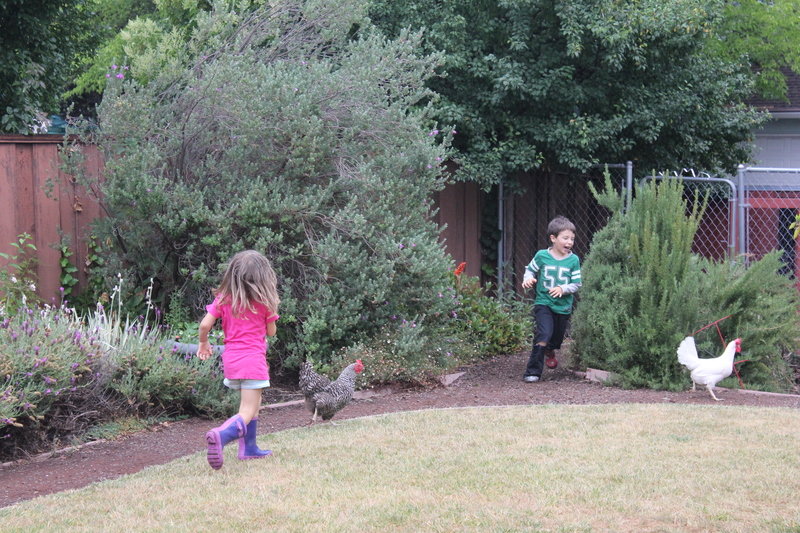 The Chicken Chase is on because Faith left the gate open. Seriously good exercise. A new doo for Daniel! Word building from her reader. 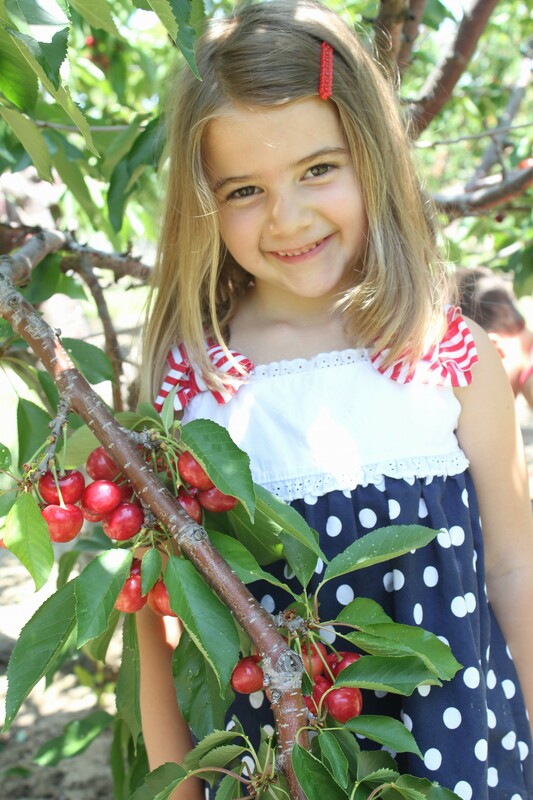 Cherry picking is one of my most favorite family traditions. Love this picture of my sweet girl.